Are you ready to dive into the heart of your emotions? Ready to unearth their role in the learning process? If so, come along and join us for a fascinating two-day journey to harness these complex and intense psychophysiological experiences! You can expect games, experiments, discoveries and lively discussions! Just think… Scientists, researchers, teaching experts and YOU, children, parents, teenagers, adults, all in one place, enjoying learning, exchanging ideas, asking questions, and making discoveries! 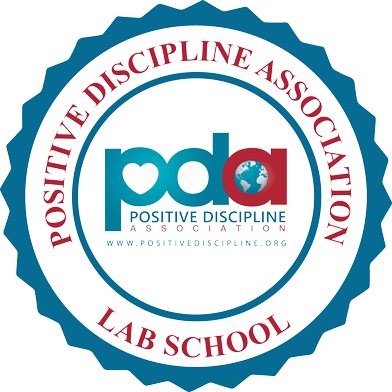 You will be both participant and observer in this entertaining and engaging event. For one day only, the school will become a laboratory full of ideas and experiments open to everyone! Workshops will take place in different areas. Visitors will be immersed in the hidden and captivating world of emotions thanks to a whole host of activities planned by the university and Ecole Eden. 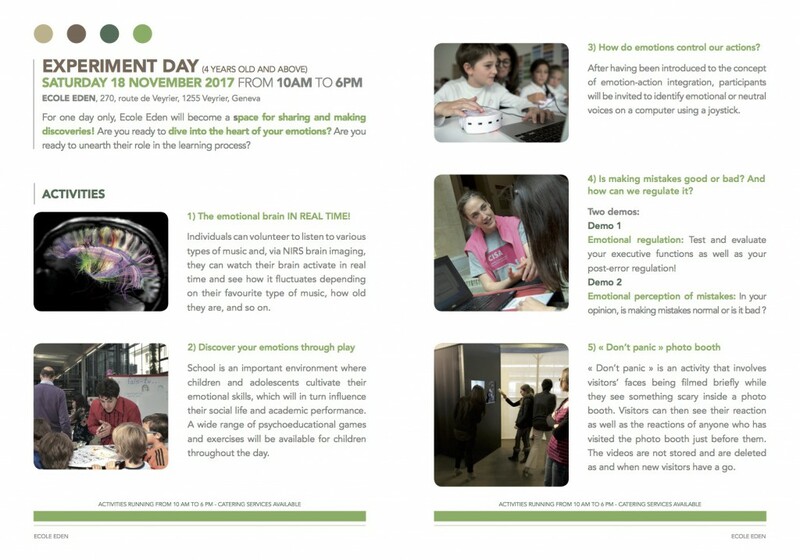 A stand providing entertainment here, a workshop inviting the public to take part in an experiment there, and around the corner, visitors will find games that have been specially designed so that the whole family can engage with their own emotions. And that’s not all, curious visitors will discover a surprising photo booth which will capture the moments when fear passes over children’s faces. Speaking of which, do we all react to fear in the same way? 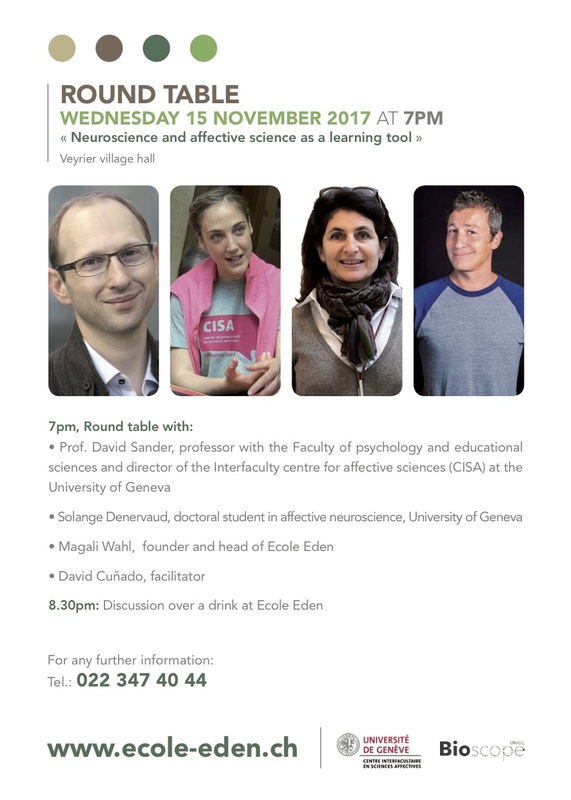 Find out on 18 November at Ecole Eden. Get ready to join us or just come along on a whim, but make sure you don’t miss out on two days packed with personal, intellectual and creative get-togethers. Catering services: On 18 November, throughout the day, visitors can tuck into the specialities on offer from a catering van.